This stylish Bar Mitzvah invitation is foil stamped on Ecru shimmer card stock layered over Sapphire shimmer stock and features clusters of Magen Davids to form a larger Jewish Star of David to the left of your wording. 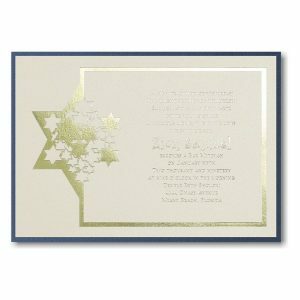 This stylish Bar Mitzvah invitation is foil stamped on Ecru shimmer card stock layered over Sapphire shimmer stock and features clusters of Magen Davids to form a larger Jewish Star of David to the left of your wording. Customer assembly is required. Measures 7-1/4″ wide by 5-1/8″ high. 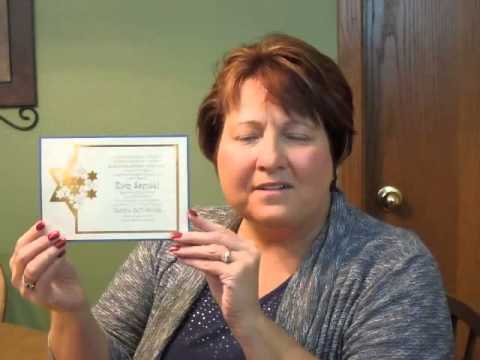 Shown with Gold foil stamping and combination lettering styles HLO/WHI. 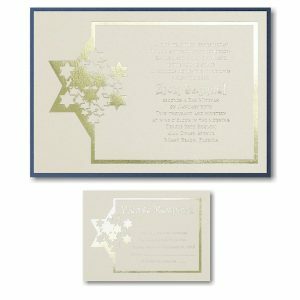 The Reception and Response enclosures will print on matching single card stock and the Informal notes will print on matching folder stock. 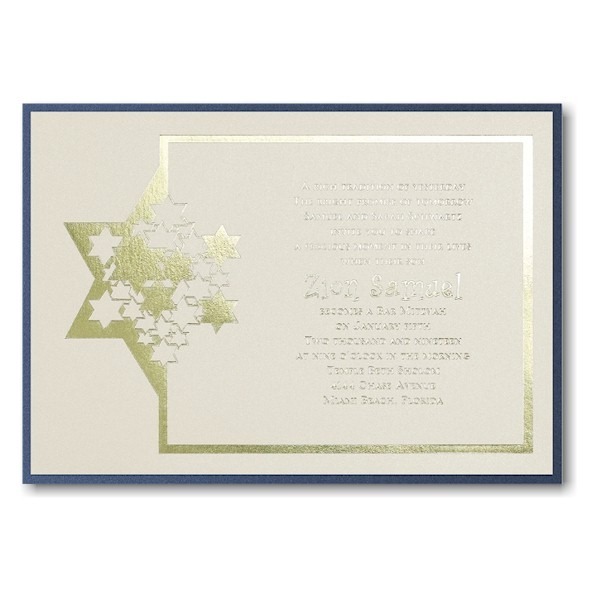 This Bar Mitzvah invitation is accompanied by single ecru shimmer envelopes.